You are here: Home / Investing / The Worst Investment I Ever Made, And How I Learned From It. The Worst Investment I Ever Made, And How I Learned From It. What is the worst investment you’ve ever made? I’d also wager a hefty amount that you are itching to ask question number one way more than question number two. Let’s admit it, as humans we love to hear about the misfortunes of others. I sure do. Now I know what you’re thinking, but before you label me as a terrible human being, why not let me have a chance to explain myself? I don’t love hearing about them because I take some sick twisted pleasure in watching other people fail. Hearing about the misfortunes of others allows me to take that information and apply it to my own investment portfolio to make sure I don’t suffer the same fate. Sure, there is that surge of gratification that runs through your body after the inevitable thought of “Wow, thankfully I didn’t do that”. But in general people mostly want to know what went wrong so they can do their best to prevent it from happening to them. Now that we’ve got that out of the way, let’s get to the brass tacks. Before I give you the lowdown on the biggest bonehead move of my investing career, let’s make one thing clear. This article isn’t meant to one up anyone. People have lost a lot more than me, I get it. In fact, I spent the better part of 4 hours skimming through horror stories from people who lost absolutely everything on cryptocurrencies in the last few weeks (cue the “Wow, thank God I didn’t do that” moment). If you can take one thing away from this article, it’s that you need to educate yourself before diving into the markets. At the ripe age of 23 years old, I learned a brutal lesson in self-directed investment. I lived a generally frugal lifestyle in my younger days. Sure, I’d go out on the weekends and spend a bunch of money on beer and a good time, like I’d imagine most 20 somethings would. But I still made a conscious effort to place some money away in a rainy day fund. I had dreamed of investing it into the stock market one day. Now, I was just starting my electrical career so I really wasn’t making that much as an apprentice. I still tried to put away a couple hundred bucks a week. But most of the money I set aside in my brand new shiny Questrade TFSA came from my ability to make money playing poker. Now my avid love for the game eventually led to me straightening my style out and becoming more conservative as a professional card player in 2015, but back in 2013 I was a gambler. The worst part about this all? My reckless abandon for money and my success in generally being a nut job at the poker table spurred my interest in quite possibly the most speculative sector of the stock market. The biotech industry. Now, I had been investing myself for about 2 years prior to this. The problem is I would simply purchase stocks Warren Buffet style. I liked Coca-Cola more than Pepsi, so I’d buy shares in Coke. I invested in products I thought were great. I never had any knowledge of what made the company a good investment. I simply thought “hey, these guys are huge, I’m going to invest in them”. Price to earnings ratio? I had no clue. Over or under valued? How can a company like Coke ever not be worth the investment? I simply bought shares at whatever market price was available when I felt like buying them. There is often a strong correlation between playing poker and trading. I’d lurk poker forums for hours on end every night, I had a crazy obsession with the game. I’d work my Monday to Friday job, head to the casino Friday evening and often not walk out until late Saturday morning. I ran across a couple threads talking about the similarities between day trading and playing cards. I took the word similarities and assumed my poker skills would go hand in hand with being a day trader. At the time I figured I wasn’t quite making enough money from playing cards to play full time. Eventually a combination of day trading and playing poker could push me over the top. Talk about a deadly cocktail. My TFSA had about $20 000 dollars in it. However it was sitting brutally undiversified in blue-chips like Coca-Cola and Apple. But this just wasn’t doing it for me. I wanted to test the waters and see if I could get out of my construction job and live the “dream” as I called it back then. If you want something to get your adrenaline pumping and the sweat dripping off your brow, try investing in extremely volatile Biotech stocks (please don’t). 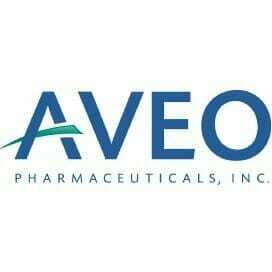 Aveo Pharmaceuticals was in development of a kidney cancer drug that had been 7 years in fruition and was finally going to be placed in front of the FDA for possible approval. Unfortunately, in the words of Robert Weisman from the Boston Globe, it only took about four hours to crush the company’s hopes. I knew nothing about Aveo. In fact I had mostly been lurking forums trying to find that next big diamond in the rough that was going to kick my trading career off in the right direction. That is literally all the knowledge I thought I needed when it came to day trading. I was strong at calculating mathematical edges and hand ranges in poker, so this would be a piece of cake. That’s about the extent of my research when it came to day trading at the time. I found Aveo, and talk of a drug approval that could potentially send the company soaring was enticing to say the least. At this point it was all I needed. I literally placed my fate in the hands of a bunch of people posting on a message board. I liquidated my entire investment portfolio and purchased $20 000 CAD of Aveo Pharmaceuticals on April 30th. I didn’t have time to check my computer on May 1st. That night I checked in anticipation of what was going to happen. I made the absolute worst mistake a day trader could ever make and I held my position overnight. This is mainly because I had absolutely no idea what I was doing. I went from an investing philosophy of “buy what you know” to day trading within a month. On May 2nd, Aveo literally plunged. The votes were 13-1 against approving the drug and I felt sick to my stomach. Before I knew it, I had lost pretty close to 40% of my money in my TFSA and was absolutely scrambling trying to figure out what to do next. Of course having absolutely no experience whatsoever I panicked and sold the shares. The initial shock of losing that much money at once was staggering. I’d never faced any sort of downswings in my poker career, and that much volatility simply doesn’t exist with stocks like Apple and Coca-Cola. It was unknown territory for me and I really didn’t know how to react. But I can tell you right now, I certainly lost sleep over it for a couple nights. With an established career, an $8000 loss to me right now probably wouldn’t have the same mental effect. However, as a young adult saving that much money doesn’t come easy for most and to have it vanish that quickly was something that bothered me immensely. Like I said above, people have done worse. I still had my home, I still had my car. But that near $8000 loss to me in a matter of days was gut wrenching. I kept my remaining money in my TFSA liquid and I told myself I wasn’t investing another dime in the stock market until I educated myself. When I look back on it, I’m not happy that it happened, but it taught me a valuable lesson that all beginning investors need to know. You need to educate yourselves. It’s very easy to simply take your money and dump it in the first couple stocks you see on a forum. This isn’t the way to go about things. If you’re doing it simply based on the fact you don’t have time to do the research or don’t feel you can acquire the knowledge to be successful, there is absolutely no shame in getting someone else to do it for you. Check out Wealthsimple, and let them make the decisions for you. The day I lost that money was the day I took my first step towards being a better investor. And here I am now, writing to an audience of over 40 000 Canadians per month looking to take their finances into their own hands. If that disastrous day didn’t happen, I’d more than likely be sticking to my “if I buy it, I’ll invest in it” philosophy. Which by the way isn’t necessarily bad, it’s just very closed-minded. We all at one point or another learn a hard lesson in life. The only thing you can really do is put it in the back of your mind. When you’re about to make another questionable investment, take 5 minutes and bring it out again. Remember that the large majority of beginning investors who dive into the markets head first without any education make a terrible mistake at one point or another. You don’t need a college or university education to make sound investing decisions. But what you do need is a whole lot of time and patience. Heck I’ve been doing this for 7 years and there is still some things that are completely unknown to me. It takes years to even learn the basic intricacies of the stock market. That isn’t to say you should just set your money aside for a couple years until you learn. Get your feet wet, if you avoid highly volatile stocks you probably won’t have a disastrous situation like a lot of new investors do. But don’t do what I did. It took a $8000 kick in the rear for me to get my act together. Take this get out of jail free card I’m giving you and start learning the right way now. So what was the worst investment you’ve ever made? C’mon, I’m sure you’ve got some horror stories much worse than mine and I want to hear them! Comment below or shoot me an email at [email protected] We may even feature your story in our newsletter if you’d like. Remember, we can all learn from our mistakes!